TURKEY. 2013. Istanbul. 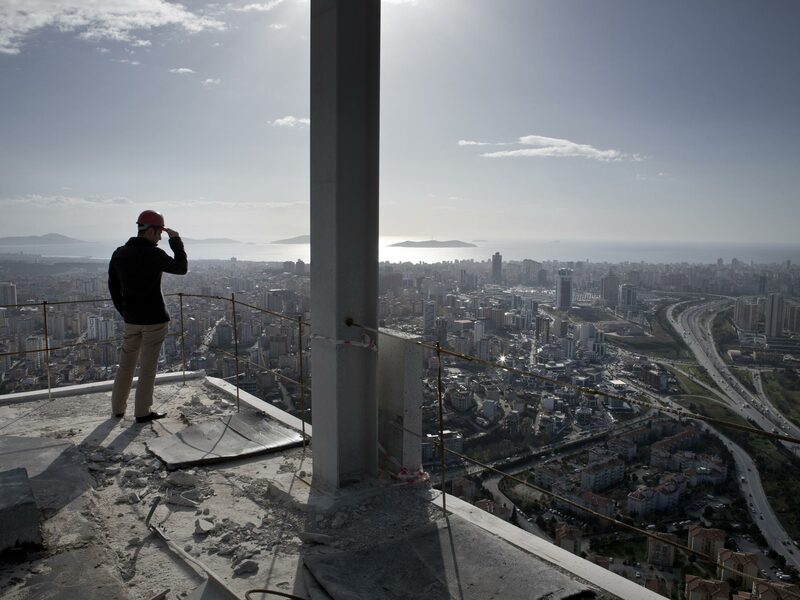 An employee of a real estate developer on top of a new high-end residential building.